The Inspire Business Awards celebrates the successes of local businesses in North Hampshire. The awards ceremony is hosted by Destination Basingstoke at the Hampshire Courts Q Hotel. The awards ceremony showcases regional businesses and promotes the continued success and growth of the local economy. 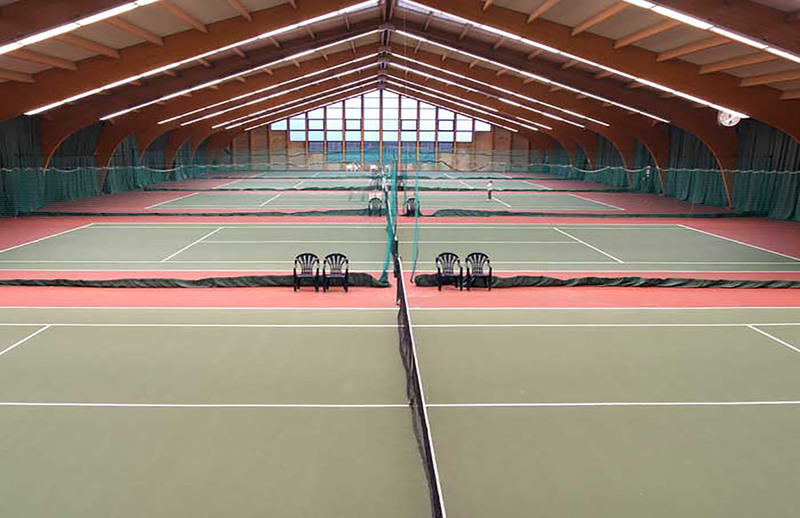 We were asked to transform the Hampshire Courts huge 36m x 36m tennis court into a space suitable for over 500 people to enjoy a dinner and an awards ceremony, which you can watch here. The installation took three months to plan and needed 169 individual lengths of fabric to create the feature roof. Up 11 metres on a scissor lift with the added obstacle of 3 fire lasers, what a transformation! 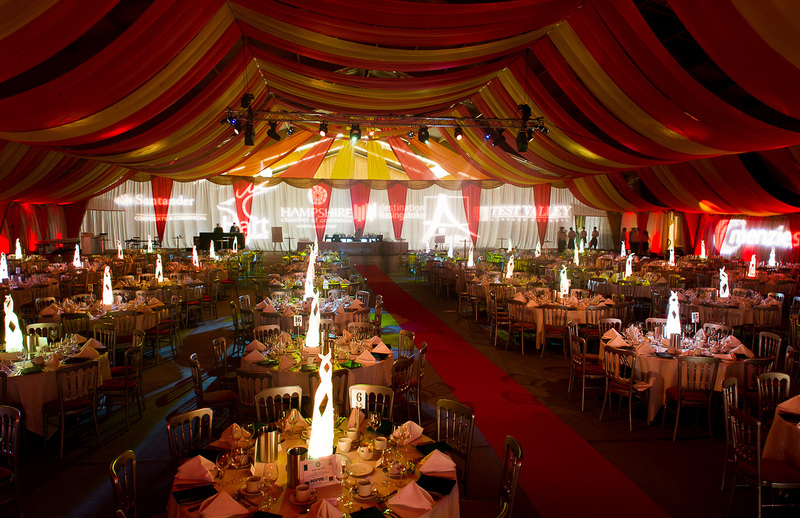 The venue really came to life after the lighting designers Lite up had added the finishing touches.